My local supermarkets have generally only stocked a few Eco Store products, but it appears (at least to me) that the number of lines has been increasing in recent months. This is such great news as I’ve always loved their products and the story behind the brand. Started by a husband and wife in New Zealand a little over 20 years ago, the brand grew from a simple desire to create cleaning and body products with no toxic or unnecessary chemicals. Fast forward to 2015 and the range now includes cleaning, body care, hair care, baby and laundry products – and has remained entirely true to its original promise. 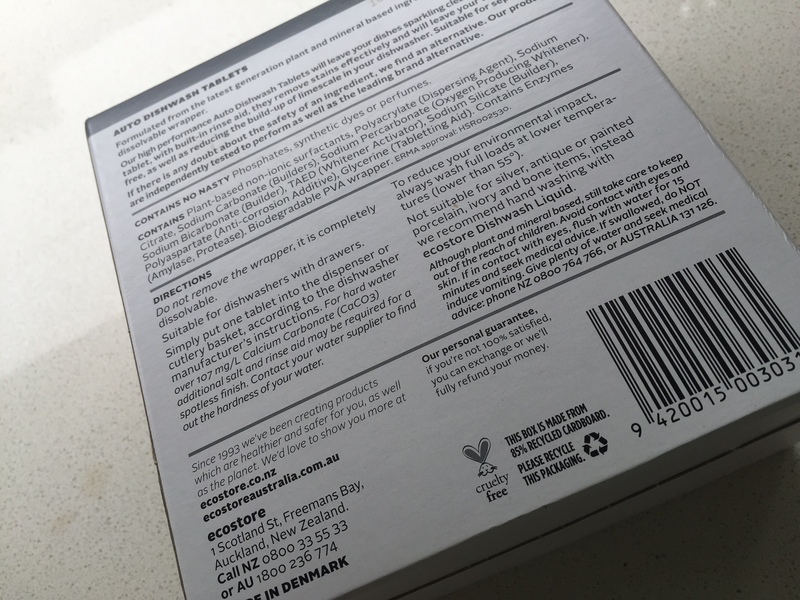 Ecostore is also endorsed by PETA as being cruelty free, and is made with the environment in mind – ensuring biodegradability and using a mix of recycled and recyclable materials for packaging. 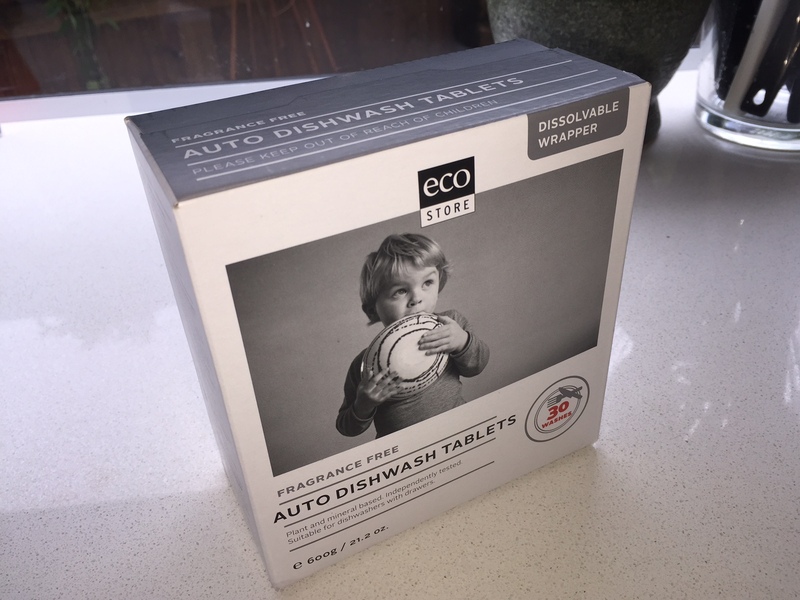 My latest purchase was the Ecostore Auto Dishwash Tablets – $15.95 for 30 tablets. It’s always a little nerve wracking trying something that is plant and mineral based (I guess the big companies have done such a good job of convincing us that we need to use lots of chemicals) – but I have to say the results were brilliant. Dishes all squeaky clean (and I’m not a pre-rinser – I just go with the scrape and stack method) and no streaky marks. Top performance all round! Please put them on your shopping list – the bunnies and the environment will thank you for it.